Signed Sunday Times newspaper article / picture. 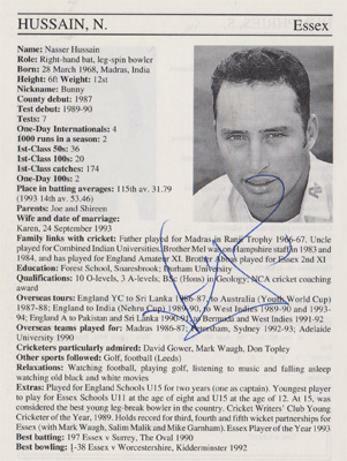 Signed A4 The Cricketer mag poster page. Signed newspaper A4 colour action pic. 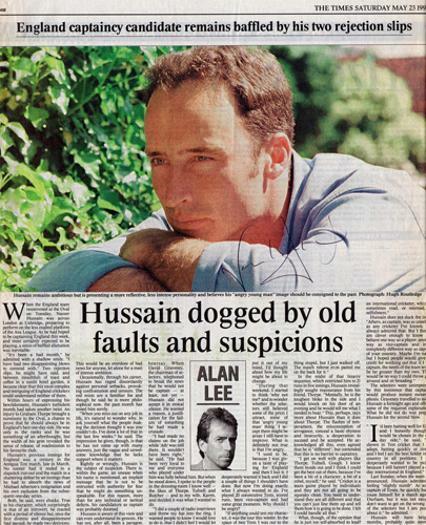 Signed 1998 'The Times' newspaper article / interview / picture "Hussain dogged by old faults and suspicions." 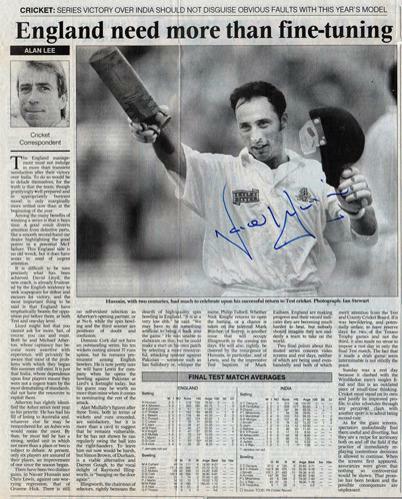 Signed 2002 'The Times' newspaper article / interview / picture after series victory over India "England need more fine tuning"
Hussain topped the England batting averages for this series. 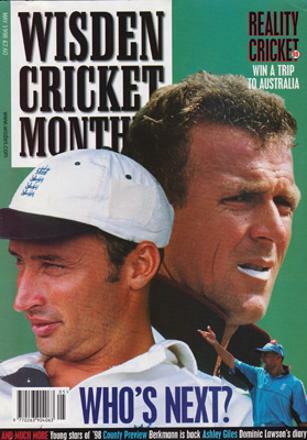 Signed 1998 Wisden Cricket Monthly magazine cover debating the next England cricket captain (with Alec Stewart). 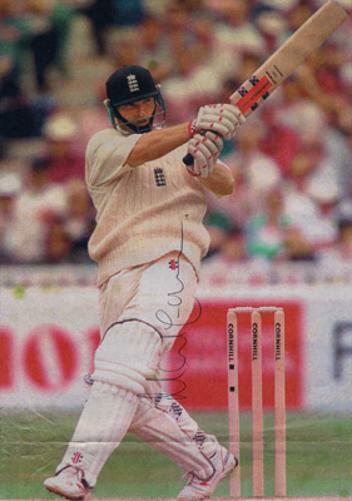 Signed 1997 Ashes cricket magazine poster page showing Hussain batting in the nets at the Oval. 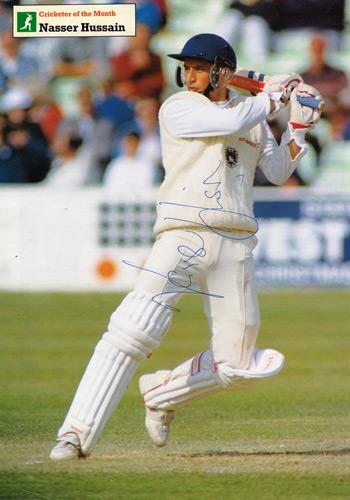 Signed B&W newspaper pic of Hussain batting for Essex against Northants CCC. 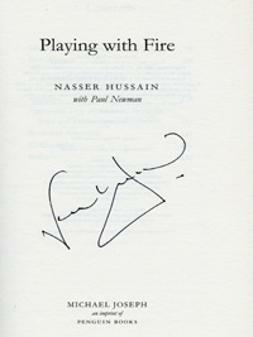 Signed autobiography "Playing with Fire". 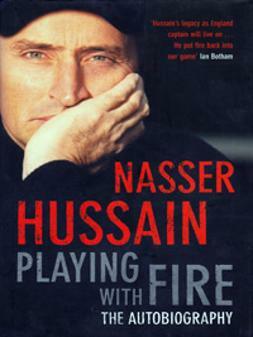 Derek Pringle, Neil Foster, John Childs, John Stephenson, Peter Such, Nasser Hussain, Nadeem Shahid, Mike Garnham, Mark Waugh, Paul Prichard, Don Topley, Nick Knight. Also signed on front by Norman Cowans (Middx) and on reverse by British Boxing Heavyweight champion Gary Mason & unknown. Paul Prichard, Nasser Hussain, Ronnie Irani, Peter Such, Stuart Law, Mark Ilott, Darren Robinson, Robert Rollins, Neil Williams, Danny Law, Ashley Cowans, Paul Grayson & Darren Cousins.